In the small community of Lisco, Nebraska (population: 64) stands the equally small, though nevertheless delightful Lisco Presbyterian Church. I've been unable to locate any history on this building or its congregation, however a large boulder in the church's front yard proclaims "Established 1909." 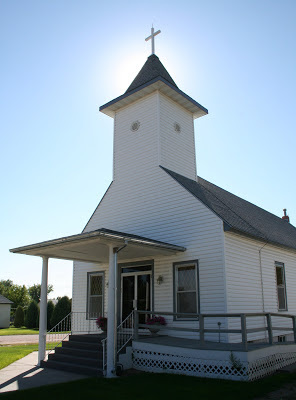 The church building is very well maintained, both inside and out. Obviously this church is a point of pride for both congregants and the wider community. The interior has a pleasant simplicity about it, which seems entirely appropriate to Presbyterian spirituality. 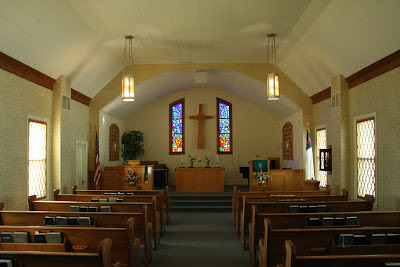 The nave windows, light fixture glass, and wallpaper are all of a yellowish-tan color, which creates a certain warmness and also certain photographic challenges. The chancel area contains simple liturgical furnishings, likely dating from the 1950s. 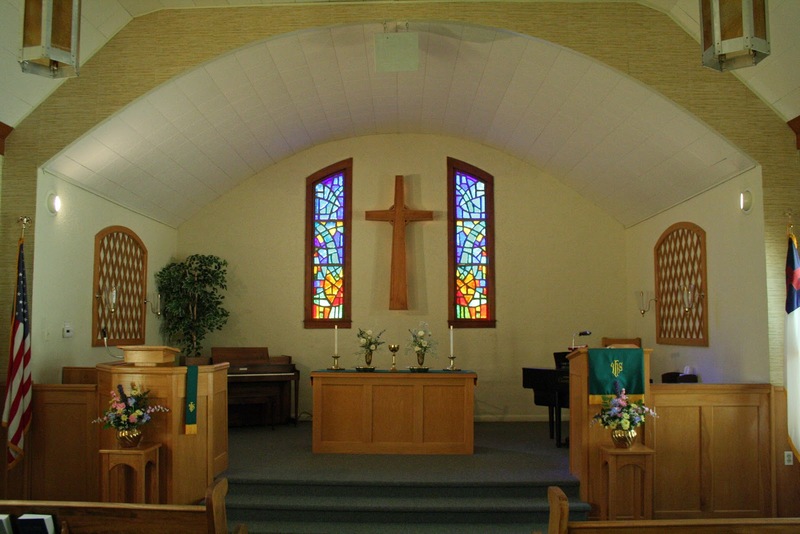 According to statistical data available from the Presbyterian Church, this congregation currently has 32 members (literally half the town!) and averages 25 worshippers each week. The main artistic focal point of the chancel is a large Celtic cross, a nod to the Scottish origins of Presbyterianism. 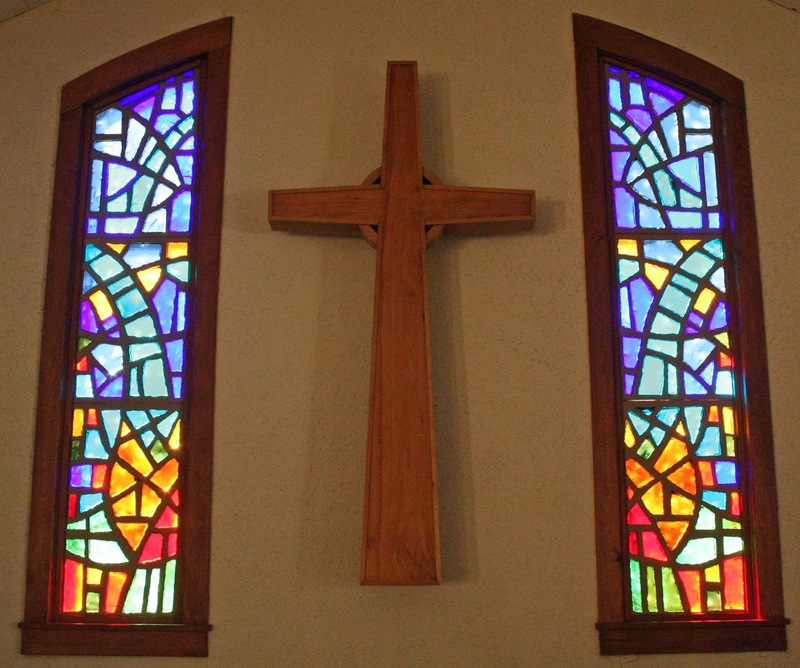 The cross framed by two contemporary Dalle de Verre (thick, faceted slabs of colored glass set into epoxy) stained glass windows. do you have the name and a phone number for the pastor? 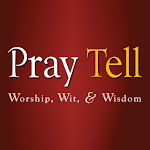 I am not affiliated with any of the churches featured on my blog. I am simply an individual interested in the architecture and history of these buildings. If an internet search has not yielded a name or phone number, I would suggest calling the city office to see if they can assist you.